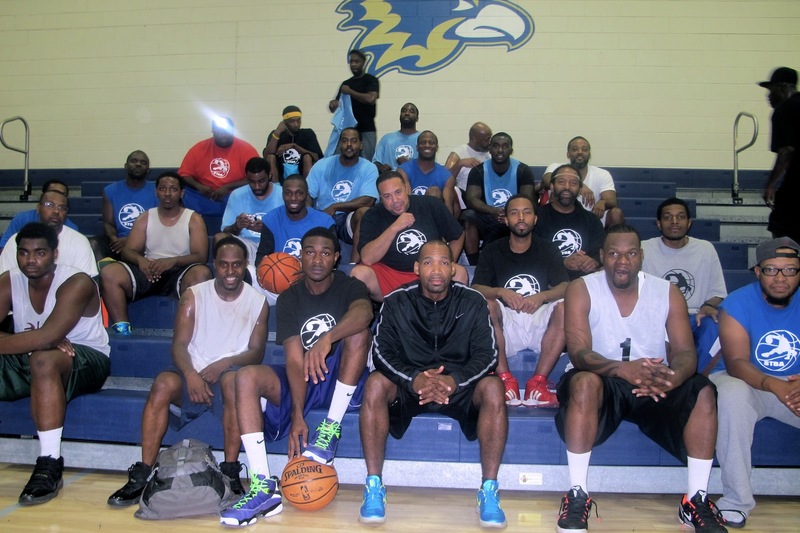 What started as a friendly basketball rivalry on social media has sprouted into a basketball league that is working to make health and fitness a top priority for Milwaukee-area black men. The players, part of the Sports Talk Basketball Association, also mentor young African-American boys, and donate schools supplies to local youths. Michael Hutchinson, 35, formed the basketball league from a group of men who belonged to a Facebook group called Sports Talk. Hutchinson, former promotions director at WMCS-AM (1290), worked at the station for seven years before it changed its format in 2013 to the current 1290 Martini Radio. Hutchinson wanted to keep alive the radio station’s slogan, “community first,” and share his love of sports with others. Before the Sports Talk Basketball Association was formed, the guys in the Sports Talk group played pick-up games every Wednesday wherever they could find space. “We played at the Parklawn gym. We were ‘ran out’ every game, losing by 30. We were literally out of our league,” Hutchinson said. The men are now fit enough to compete. Hutchinson, who grew up in Riverwest, is studying to become a certified personal trainer to help more black men get and stay healthy. 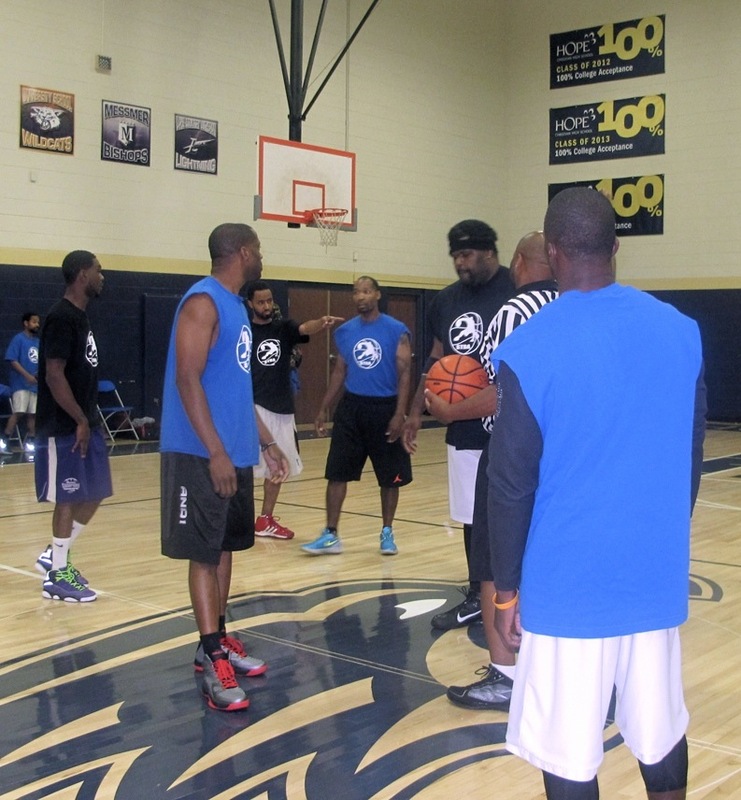 The STBA has six teams with eight players each. The participants, whose ages range from 20 to 40, play three games every Wednesday, at 7:30, 8:30 and 9:30 p.m., at the Hope Christian High School gym, 3215 N. Dr. Martin Luther King, Jr. Drive. Last week, the league wrapped up its second regular season. The Sports Talk Basketball Association does more than just use the gym at the high school. “They help by donating things that most people take for granted, like basketballs and warm-up tops. They are extremely generous and helpful,” said Jermaine Evans, dean of students and girls basketball coach at Hope. “I think it’s great that a group of people can come together and enjoy each other’s company, be active and bring their families to the games,” added Evans, who plays in the STBA. It’s not Hutchinson’s first charitable endeavor. For the past nine years, he has hosted an annual barbeque called “Mi Casa, Su Casa,” where up to 200 guests are encouraged to bring school supplies for a selected school. This year the beneficiary is Lancaster School, 4931 N. 68th St., a Milwaukee Public Schools elementary school. Guests also bring men’s hygiene supplies that are donated to Repairers of the Breach, a resource center for homeless adults. It’s nice to see an article published about positive things happening in Milwaukee. It’s very easy as a society to constantly point out the negative things happening in a community. We point out so much negative that we decrease the value of OUR city as a whole. I’m proud of my big brother. He continues to work towards bringing a positive light to a city with a bad reputation. He continues to support his community and give back. Giving back to a city instead of just living in it is a choice few people make, but Michael is different. He loves his city and his community and his dedication and determination make him a role model for boys in our family (including his nephew) and the Milwaukee community as a whole. Good Job Michael!